Vietnam might have been late to Southeast Asia’s beach party, but it was worth the wait. The country boasts more than 3400km of coastline, with infinite stretches of powdery sand, hidden coves, lovely lagoons, impossible boulder formations and tropical islands ringed with yet more beaches. Help! Too many choices! Simply the most beautiful island in Vietnam, Phu Quoc is liberally sprinkled with picture-perfect white-sand beaches and cloaked in dense, impenetrable jungle. 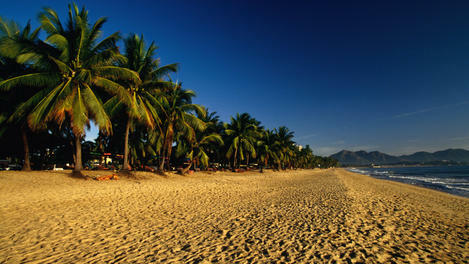 Long Beach is sophisticated, Ong Lan Beach romantic, and Bai Sao simply irresistible. OK, so we are using artistic licence with the name, but whether you call it My Khe to the north or Cua Dai to the south, it’s all just one long, luscious stretch of sand. Try surfing off the shores of Danang or just pamper yourself at the resorts near Hoi An. Read up on Vietnam with Lonely Planet’s tips and articles.